Get an introductory tour of Easter Island when your cruise ship pulls into the Hanga Roa port. Let a professional guide regale you with mysterious tales of the island during this 3-hour shore excursion to Rapa Nui National Park. 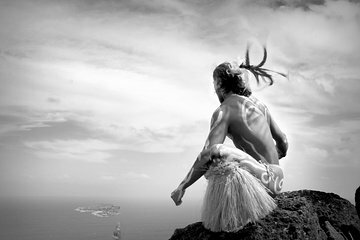 Visit Ahu Akivi, Ahu Vinapu, Puna Pau Quarry and Te Pahu Cavern, and marvel at the seven impressive ‘moai’ statues on a platform that faces the rising sun. Remember that the tour begins from 9:30 AM, please let us know if you have a delay while disembarking. Minimum quantity of two passengers to opperate. IMPORTANT INFORMATION: Please consider that if the ship can't arrive to the destination due the bad weather conditions and we don't have this information at last 24 hours prior the departure of the tour, we will have to charge the 100% of this booking. If you cancel within 2 day(s) of the scheduled departure, there is a 100 percent cancellation fee. If you cancel at least 3 day(s) in advance of the scheduled departure, there is no cancellation fee.